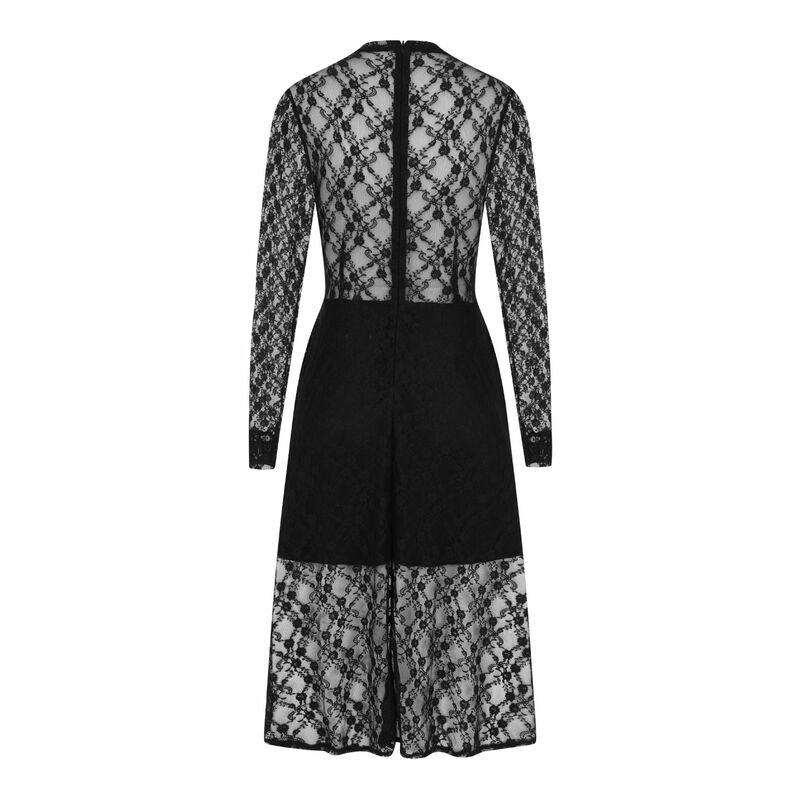 In a delicate floral lace fabrication with semi-sheer panels, this piece exudes modern elegance. 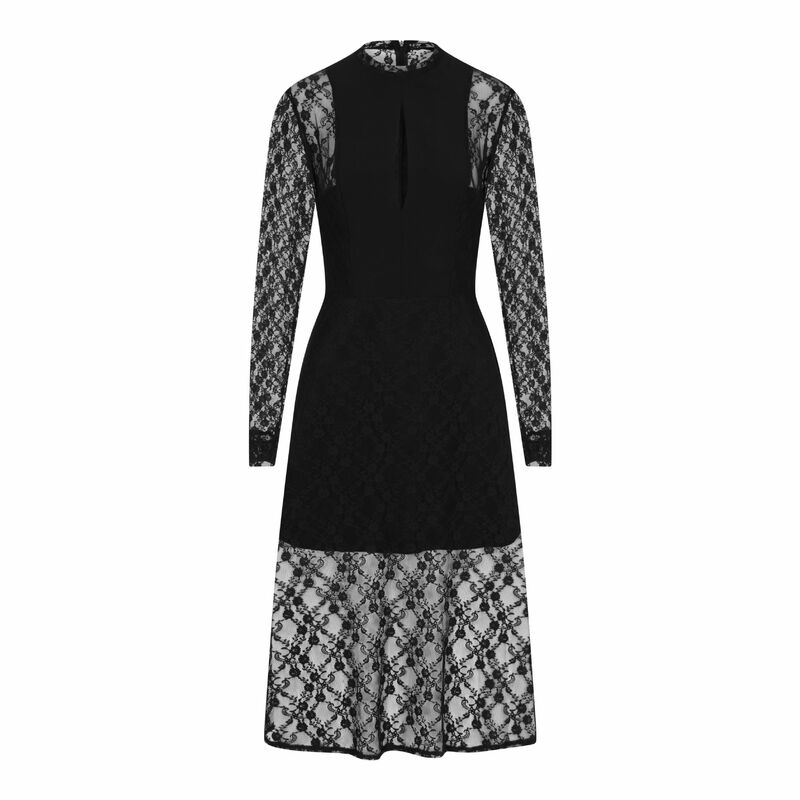 It's cut to fit close to the body with panelling detail and an A-line midi length skirt. Falling below the knee, this piece will make a sophisticated evening ensemble when paired with heels . More about this dress Fabric sourced Nottingham and Lancashire, garment made in the UK. Inspiration 1920's Gatsby glam and art deco design.